In celebration of the upcoming new Armor Trooper Votoms series, our Random Mecha Video of the Day/Week is a duo of PSX Votoms games; Armor Trooper Votoms: Lightning Slash and Armor Trooper Votoms: Blue Knight Berserga. 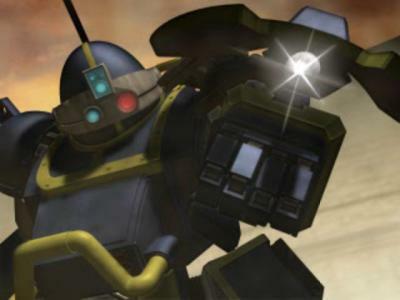 Lightning Slash is a little gem of a VOTOMS game was released by TAKARA in 1999 for the PSX. With over 30 playable ATs and numerous customizable weapons, Lightning Slash is part Armored Core part Virtual On, and offers a wide variety of choices for the VOTOMS fan and for those looking for some mecha action. Gameplay features a “boost gauge” similar to Armored Core’s energy bar which recovers when not in use. Aiming is manual where the player has to point to the direction of the AT towards the target, but dash attacking centers the ATs reticule on the opponent giving it a semi-lock on feature similar to Virtual-On. Blue Knight Berserga on the other hand is a much more simplified version of Lightning Slash. Featuring fewer mechs, smaler arenas, and a dash-attack system heavily borrowed from Virtual-On, BKB plays very differently from Lightning Slash. While simplified, the gameplay is sped up, resulting in a game that anyone can play (despite the somewhat awkward controls) and plays like a Virtual-On version of Votoms. Hahah, Soukou Kihei Votoms (PS) would've been much better if it still had LS's in-depth customization.